My kids and I love the party chip/confetti cupcakes and the rainbow chip frosting. 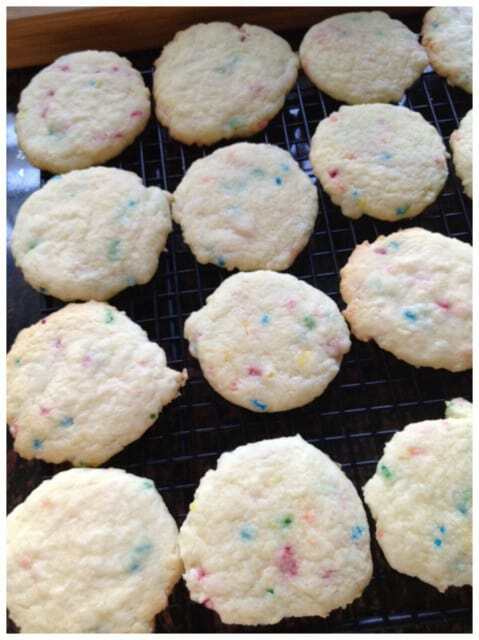 A while back we went to a party and someone had make these amazing confetti cookies. I had to have the recipe! 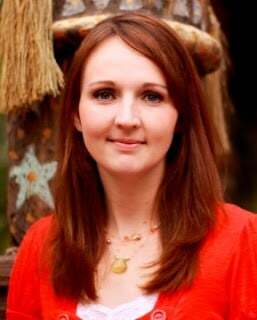 I tracked down the person at the party that had brought them and asked for the recipe, she laughed and said haven’t you ever seen this recipe on the side of the box of cake mix? I was dumbfounded, I thought she made it up. They have since become our favorite but I added some twists and took it a step further because I really missed the party chip frosting. Something about those tiny colored chips I really missed! Heat oven to 375°F. In large bowl, combine cake mix, oil or the softened butter (whichever you had on hand or preferred to use), vanilla and eggs; stir with spoon until thoroughly moistened. Shape dough into 1-inch balls; place 2 inches apart on ungreased cookie sheets. With bottom of glass dipped in flour, flatten to 1/4-inch thickness. Bake at 375°F. for 6 to 8 minutes or until edges are light golden brown. Do not overtake or it will ruin the texture. Cool completely. Once the cookies are completely cool turn one over spread a generous amount of frosting on it and top it gently, so the frosting won’t spurt out the sides, with another cookie Viola! 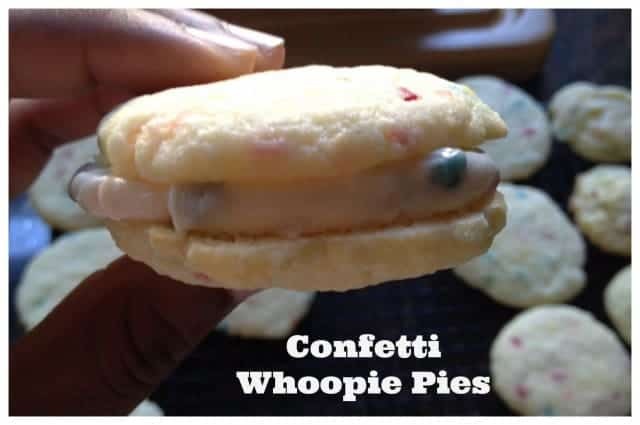 Confetti Whoopie Pie! 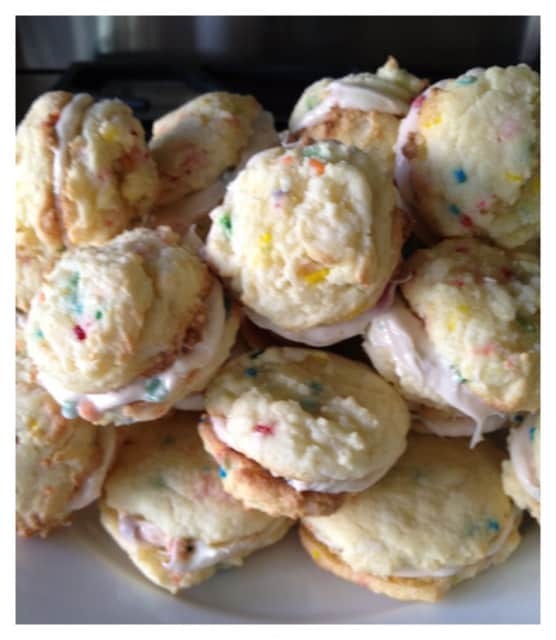 This guest post, recipe and photos was written by our fantastic Foodie blog contributor, Renee.